I love this cigars size and flavor. Lay them down for 5+ years. Just had one from 2010. Strong flavors of honey and that grassy flavor. Great! this cigar its a nice smooth smoke one of the favorite cigars iv tried. For the last several years the IV has been one of to my fav. Cohibas! The Carona Especial has been hard to get, So when combining price and flavor, this is two thumbs! As always top quality and delivery from CT!! No ! Since the Punch S. Select. II has been discontinued, the Siglo V is now, indoubtedly, the best Corona gorda in current production. 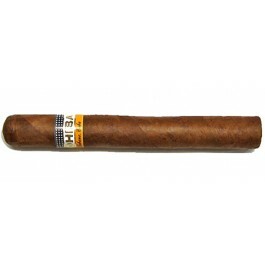 Beside its price, which is his main default, as always in this brand (...), you shall notice and like the inevitable true taste of Cohiba, with typicals phenols : the tate of the House. The Dalia (Siglo VI) is quite the same but, because of the perfect balance of the vitola, the Gorda is better as the end of the Dalia, which is longer, does not deliver the right taste you may expect. So it could be said the Siglo V is more constant.